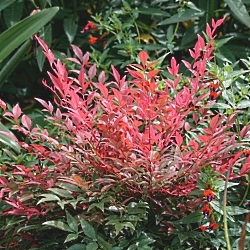 Lacy green leaves on upright cane-like stems turn brilliant red in autumn. 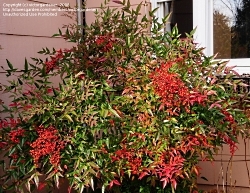 Creamy flowers are followed by clusters of red berries. Use in groupings or as a screen. Good for narrow spaces. Evergreen. 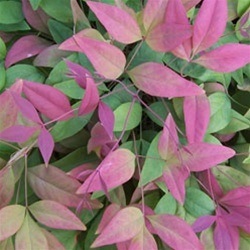 This dwarf heavenly bamboo adds variety and texture to the garden. 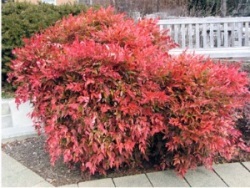 The fresh green leaves of this evergreen shrub turn brilliant scarlet red in winter, creating a bold focal point in the winter garden. 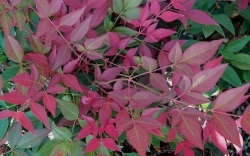 It is also outstanding for mass plantings, as a low groundcover, or used as a low, informal hedge. Can take some shade, however, the colors are more brilliant with more sun. 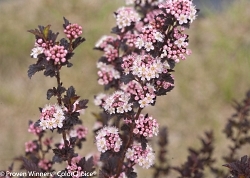 Rich, dark purple foliage all season and soft pink flowers in late spring. Adaptable. Easy to grow. Native. 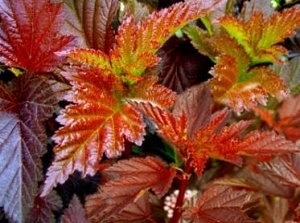 Great as a landscape shrub and as a cut flower. 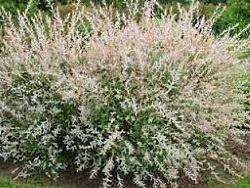 Good in groupings and masses, perennial and shrub borders. 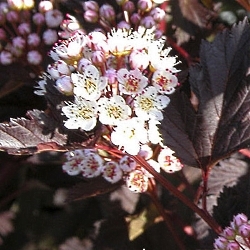 This dwarf variety of the ninebark is extra bushy with dark bronze-maroon foliage that holds its color all season. 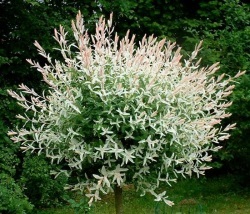 In spring, the pinkish-white flowers bloom up and down the stems displaying a beautiful contrast against the dark foliage. 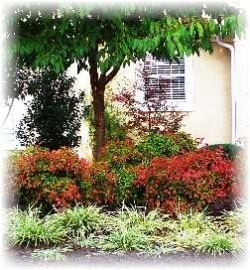 Geat choice for patio containers.